Not too long ago, a report suggested that Samsung is preparing a new compensation program for customers who bought the Galaxy Note 7, and it may involve the Galaxy S8 or the Note 8 in some way. The company has now confirmed their Galaxy Upgrade program for Galaxy Note 7 owners in South Korea. Customers who opted to exchange their Galaxy Note 7 with the Galaxy S7 or S7 Edge are eligible to take part in this program. 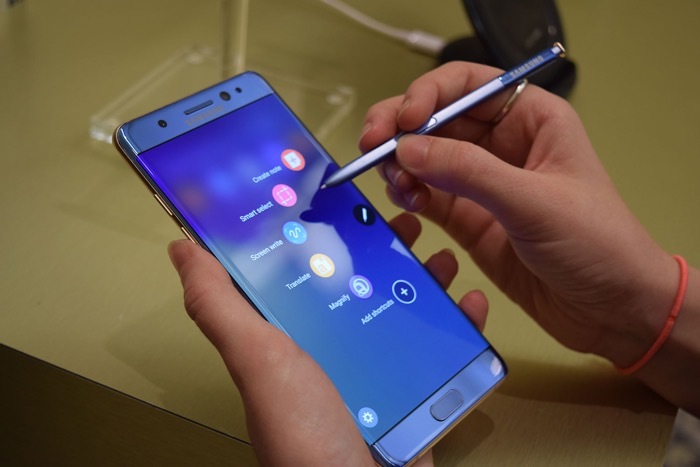 As a part of the program, customers will be able to upgrade to a Galaxy S8 or a Galaxy Note 8 when the handsets are launched next year. Additionally, they’ll have to pay only half of the price of the Galaxy S8 or the Galaxy Note 8 when they are launched next year. A 50 percent discount on LCD repair costs twice is also available, and there are no additional fees for the program. Unfortunately, the program is only available for customers in South Korea, and there’s no word if its going to launch in other parts of the world or not. The way to join is still no announced, but it will be after the company is done with discussions with the carrier partners on how to proceed with it. We’ll update you if we get to hear anything more about the program, or its availability in other key markets.